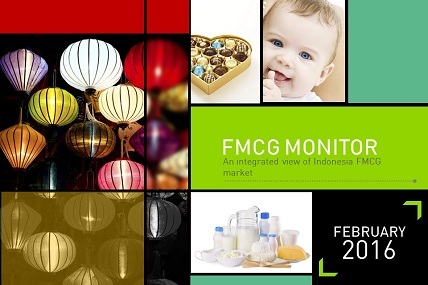 February has gone, yet FMCG's pace is still slowing down. FMCG still shows no sign of recovery in February. Consumers still hold their consumption. Consumers started to realize that healthy body is everything, and as a result, healthy categories like yoghurt drink is currently enjoying the ride. Both modern and traditional trade channel showed negative growth this period compared to year ago. This is surely not a good sign for a beginning of a new year.. Compared to January 2016, ID inflation in February 2016 increased from 4.14 to 4.42%.